This article is #3 of a 8 part series dedicated to helping you prepare your business for the busy rental season. For additional suggestions checkout the rest of the Rent Season Prep 101 series. Who's coming down your rental property management pipeline? During the busy spring rent season, you'll find that many millennials choose to move. Whether they're moving for work, for family, or for greater educational opportunities, you need to know how to attract millennials to your rental property business, especially if you're working in a college town where tenant turnover is high. Do you send out newsletters, create blogs, or develop social media posts? You need to understand that your audience is more diverse than you might imagine. You're not just marketing to tenants, you're marketing to many different groups, all of whom have different interests and needs. According to LinkedIn, you need to adjust your marketing materials to speak directly to that college audience. The company says that "armed with information, you can change the message, send relevant emails, create college landing pages, and design campaigns that look like they were meant for students." Millennials love to rent. While home ownership might be out of reach for some, for many, renting is also a lifestyle choice. It allows them the flexibility they need to seek out a neighborhood that suits them and a job that they enjoy, and it gives them the ability to have a geographically flexible life, free from the stresses and financial commitment of home ownership. When you're marketing to millennials, you need to understand the factors that bring them to rental properties and highlight these when you're discussing the features of each property. Millennials get much of their news via social media: be social yourself. When you're interacting with Millennial and college students, you need to speak their language on the platforms where they hang out. According to the American Press Institute, "social networks are an extraordinarily important part of Millennials' digital lives, in part because social networks have become much more than a way to connect about personal matters." This might involve using texts to connect with prospective tenants or developing an Instagram site that highlights neighborhoods where you have many rental property listings. For Millennials, social networks are for more than interactions between friends. They're a place to get relevant news and information, including information about properties to rent. Developing a strong website and social media presence is essential when you're connecting with Millennials. While they may move on when they've completed college or when they find a new job, your Millennial and student tenants are no less valuable than any of your other tenants. Once you've captured their attention, you need to cultivate a relationship with them. Using lead tracking software, track each lead, connect with them, and acknowledge their importance to your business. Are you looking for support as you market to a millennial audience? 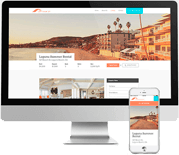 With features that help you develop your website, hone your SEO, and create smoother move-in, move-out processes, Propertyware is here to help. Get pricing today and learn how we can help your business reach its target audience. Next Article: Are Your Rental Leasing Contracts Up To Date?